Quality is one of the biggest pillars to support the manufacturer. Attend to "peace of mind" in your products with our range of metal detector. MS-3141 - series conveyor mounted metal detector for food, pharmaceutical, chemicals and other products. MS-3147 - series conveyor mounted metal detector in stainless steel execution suitable for wet applications. MS-5141 / MS-5137 - series of conveyor mounted metal detectors designed for inspection of large products and shipping cartons. MS-5137 conveyor mounted metal detectors are suitable for wet environment. 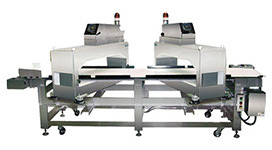 MS-50W37 - double search coil conveyor mounted metal detector designed for inspection of block of meat. Cardboard Carton Inspection - conveyor mounted metal detector designed for inspection of cardboard carton. 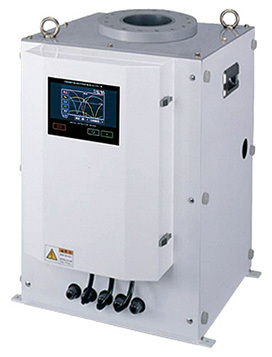 MS-2242 - metal detection system designed for free-flowing powders and granulates. This self contained unit includes rejection system. 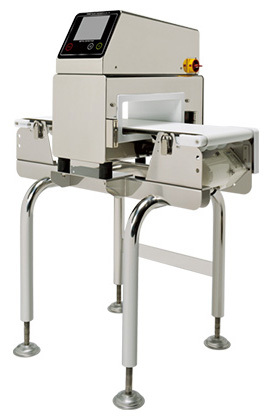 MS-4143 - metal detector for pharmaceutical applications, includes integrated rejector. Pipeline Metal Detector - designed for inspection of liquids sauces minced meat and paste, includes integrated reject valve. ND-398/410 - conveyor mounted metal detector suitable for inspection of products packed in aluminum or metalized foil. ND-150D - metal detector for mining applications. ND-172 - metal detector for iron ore, minerals processing. Needle Detectors - metal detector for inspection of finished garments in the apparel industry. Line Diverters / Rejectors - for removing contaminated products from manufacturing process. E-ND-01 Explosion proof - metal detectors suitable for installation in hazardous locations. 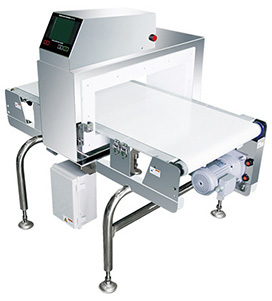 MS-50W37 conveyor mounted metal detector designed for inspection of block of meat. 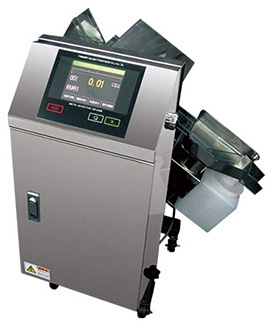 MS-2242 - metal detection system designed for free-flowing powders and granulates.